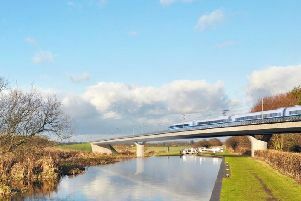 RESIDENTS will get the chance to have their say on the controversial guided busway at a public meeting. Transport for Greater Manchester (TfGM), Wigan Council, Leigh MP Andy Burnham and contractor Balfour Beatty are organising the event allowing those living near the project to choose traffic management options and express their views on the busway. The meeting on Saturday November 8 at a venue to be confirmed will discuss three different plans to minimise disruption while Astley Street in Tyldesley is closed from December. The project has encountered huge opposition from residents angry at the motoring chaos caused by the construction work, with thousands of people venting their anger at the route which will run between Leigh and Manchester city centre on Facebook. TfGM head of programme management services Peter Boulton said: “Our shared concern here is that the works at Astley Street and along the busway in general are carried out in a way that limits the impact in the local area and on the local community. “We’ve clearly explained to local politicians the pros and cons of several different options for managing traffic while we work at Astley Street and they have now asked us to share that thinking with the public and hear their views. Local politicians have been presented with a series of options for the Astley Street closure and stated a preference for a works programme that would reduce the amount of time it would need to be closed. The current plan is for 22 weeks of single lane running into Tyldesley town centre while work is carried out, followed by a three-week full street closure for a United Utilities water main diversion and resurfacing. The work is due to start in December once Hough Lane has fully reopened, while Wigan Council has also agreed no non-busway roadworks will take place along the diversion routes except for emergency utility works needed to keep on gas, water and power supplies to homes. Coun Stephen Hellier, ward member for Tyldesley, said: “As a Tyldesley resident, I’m well aware of the serious concerns in the local area about the busway works and the associated traffic disruption. “A lot of hard work has been going on behind the scenes to make improvements and to ensure residents’ views are being listened to. We’ve already been able to secure a full public meeting in Tyldesley and now we have a rethink over how work is carried out on Astley Street. Work will start in Tyldesley town centre on Monday November 3, starting on the south side of Elliott Street before moving to Market Square and Stanley Street. Access to homes and businesses will not be restricted during this work, which will finish in March 2015.